So you're actively working to implement the tenets of the Whole Child Initiative? Excellent! How about your whole tech initiative? What's your vision for technology in education? Not what you have in your inventory or what you're comfortable using, but your action plan for technology empowering the whole child. Why? Because in today's world, technology is not an add-on or a nice-to-have; it's an essential array of tools that support and energize every Whole Child tenet. Healthy values, habits, and attitudes essential to working successfully online. Safe practices for connecting, communicating, and collaborating with others virtually. Engaging, meaningful learning embedded in their local and global communities. Supportive, personalized learning that accommodates their unique needs and interests. Challenging, higher-level learning that prepares them to realize their full potential as global citizens. Technology in whole child schools is more than simply putting in place web portals and student information systems. Yes, tracking of student data is important, but these things should already be in place, in an integrated manner that provides appropriate, secure access to families and community agencies working in concert. Publication of new student-generated content that contributes to our global body of knowledge. For this whole tech vision to be a reality, students must be connected on the fly wherever their learning takes them. The Industrial Age model of workstations, labs, and whiteboard-centric classrooms is outdated. Schools must mirror today's workplaces, providing a robust wireless environment that covers the entire campus, allowing students to use their own portable devices as they work. Not there yet? Don't be discouraged. Whatever your school's current technology status, the key is to espouse and work toward a whole tech vision. It requires less investment in hardware and software and builds more capacity for learning and productivity. Most importantly, it aligns nicely with your commitment to the tenets of the whole child. It won't happen all at once, but it will happen. You will play an important role in education transformation in your community, and create a legacy for learning in the future. 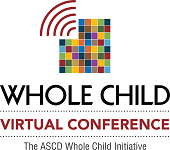 Join Walter and Thomas Hoerr, head of school, New City School, St. Louis, Mo., for their presentation, "Grit: Multiple Intelligences and Instructional Technology in the Classroom," on Thursday, May 9, as part of ASCD's free, online 2013 Whole Child Virtual Conference. Registration is now open. Go to www.ascd.org/wcvirtualconference to sign up.